You must make reservations at least 5 minutes in advance of the time at Lionhead. 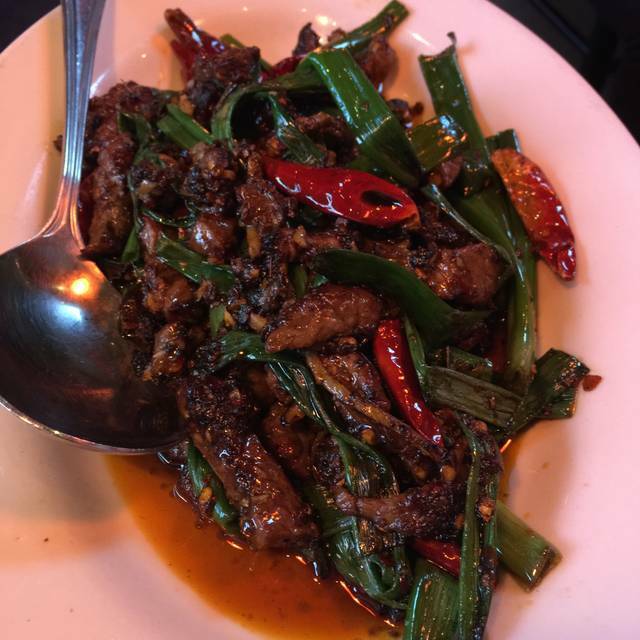 Lionhead is dedicated to the flavors of Sichuan Province, China. Drawing inspiration from the traditional dishes and techniques of Sichuan cooking, Lionhead uses carefully-sourced, high-quality ingredients to create a unique take on Chinese cuisine in Seattle. We went for restaurant week. If you don’t like spicy food beware! Their level of spice is very authentic, AKA caustic to my American mouth. I found things on the menu that were delicious with milder spice levels, but they were still on the edge of what I could tolerate. Thank goodness they have good-quality paper napkins, because I was blowing my nose the whole meal. My husband is a spicy food enthusiast and he adored his fish. My salt and pepper tofu was light and crispy and came out very hot and fresh. My favorite thing was the eggplant appetizer. It was sweet and spicy and fried and perfect. We will be back for sure. The hot and numbing spices are a unique experience if you haven’t had them. Oh and the deserts were excellent! The pudding (rice or tapioca I don’t remember) was very good. The lychee sorbet was thicker than I expected and had an excellent texture. 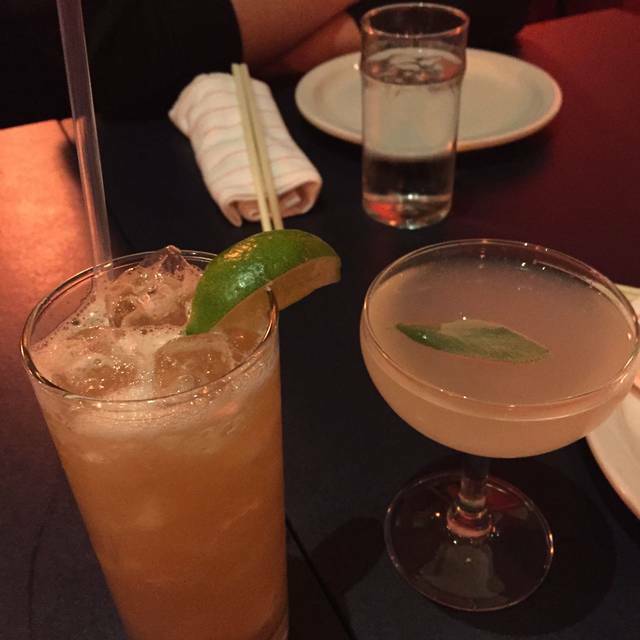 Mediocre food, great drinks, poor waitstaff. Food was good, not great. 7/10. The portions were huge. The sezchuan spicy mouthfeel is really crazy and experiencing that for the first time was the peak of my night. Waitstaff was bad. Waiter forgot about us during our meal and we just sat there for 45 minutes before realizing we needed to go talk to someone. Food runner was a jerk, maybe he was just high and trying to not be awkward? Who knows. Drinks were great! Lots of unique ingredients that you don't usually see in cocktails. We don’t know why we haven’t eaten here before! The food was fantastic. The service here was impeccable. Super friendly and just the best. Our server was there when we needed it and never too often. The food was an explosion of flavors in every bite. Between my date and myself, we ordered way too much food, but did not regret it. The portions were much larger than expected, which is always nice for yummy left overs. We weren’t disappointed with any of the dishes and only wished we could’ve had enough room for dessert and more! Definitely coming back for more! Like a bit of spice? Just enough to clear your nose and make you pay attention? THIS is the place... the food is excellent and lots of choices. My advice is to select a lot of the starters and let that guide you. All of the selections are amazing with just enough spice for you to take notice. My favorite was the Cured Beef Salad... soooo bomb. You really can’t go wrong here! Great place with excellent service and just too tasty food. People in my party loved the food. I was limited to the gluten free menu and was less enthusiastic. Another great meal at Lionhead! Try Baijiu paired with the dishes. It was an okay dinner. Good food. No extras. But a bit annoyed when saw the check was already included with 20% tip. Seriously! What if I want to give 15 or 18%? Highly recommend! Definitely try the pork belly, fried rice and wonton soup! Both bao’s were also great! I hosted three difficult to impress friends for a special occasion. Lionhead's outstanding food and service exceeded everyone's (high) expectations. The spicing, flavor combinations and high quality ingredients made for an outstanding meal. Service was friendly, informed and professional. Only problem we encountered was the music volume was too loud for a normal conversation. Bravo!!! Truly a joy dining here. I love the surprise that comes with every bite. Great cocktails and food and how fun to have your entire mouth buzzing after chewing on one of those Szechuan peppercorns. :) Thanks you!! Food was delicious!! Staff was incredibly kind and inviting. It was a group of 11 of us, initially 8, but they were so accommodating as we called to request more seats. I can’t wait to go back! In a city that quite frankly lacks great Sichuan cuisine this is an amazing find. Smaller spot, but great Capitol Hill vibe. The best part is the value, it is hard to find a meal plus drinks at a price point like this anywhere in Seattle let alone Capitol Hill, with food coming from such a great chef. Impeccable service, food well prepared, presented and served, comfortable space. This Szechuan cuisine is unique! The pepper makes the mouth tingle and the water taste salty. A very weird experience. Best was the delicious wonton soup. 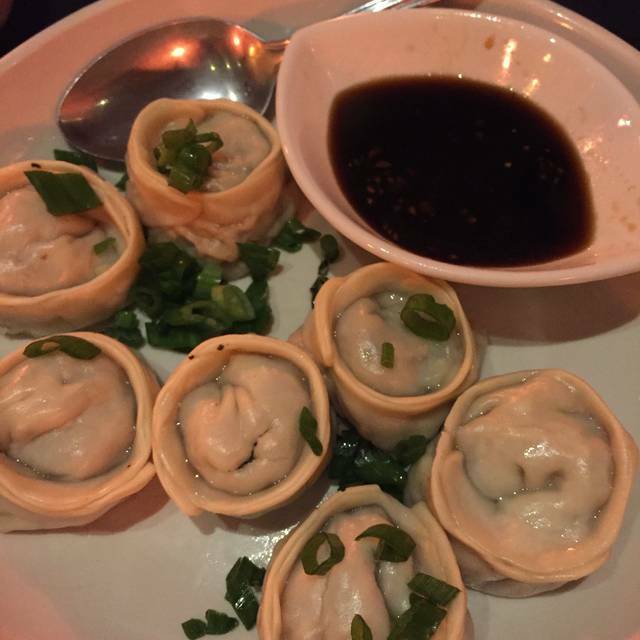 We also liked cloud mushroom and lamb jaojzi (sp) with chili sauce. And chrysanthemum tea. Oh, and coconut tapioca for dessert! If you like this style of Chinese food highly recommend. Food is fresh and several dishes on the menu that vary in How hot they are. Two of my friends and I had dinner at Lionhead. The restaurant is relatively small, but we made a reservation ahead of time and were able to be seated earlier than the time we reserved. 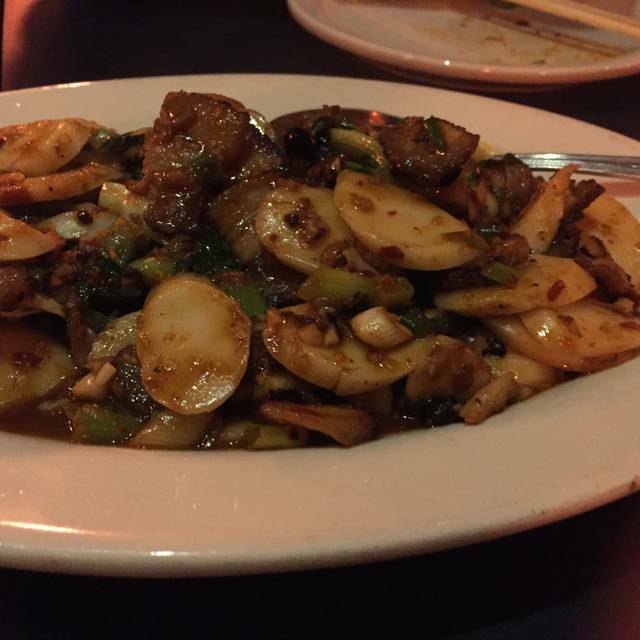 We had the Yu Xiang Maitake Mushrooms, which was very flavorful and a great option for vegetarians. The Dan Dan Mian noodles was my favorite dish, definitely spicy. We also had the La Zi Ji chicken, which was excellent as well. We also got some rice, which helped when everything was quite spicy. Every item we had was absolutely delicious. Our server was very friendly and recommended great dishes when we were debating among a few. Lionhead is absolutely delicious. Food is served family style. We have a vegan in the family and the salt and pepper fried tofu is the best we have ever had. Be careful of how spicy some of the dishes will be. Your tongue can go numb! My partner and I went to Lionhead on NYE. This is the fourth or fifth time we have been here since the restaurant opened. The food, as always, was great. The service was not so great this time. Expecting the place would have a crowd we made reservations for 7:30 pm. When we arrived we waited for 5 minutes for someone to acknowledge us and then waited another 10 because the table wasn't ready. The service was unpredictable for the rest of the night. Our server was at first very attentive in that he gave us almost no time to review the menu. We asked for three minutes to decide and he disappeared for twenty minutes. We ordered two appetizers and two main dishes. The appetizers didn't come out before the main dishes. One appetizer and one main dish came out first, followed by another main dish, which was followed by the final appetizer. To make matters worse, we didn't have table service so we had to wait some more for our server's attention to get chopsticks. If the restaurant were unusually busy I could forgive the lapses, but it wasn't. The dining room was at 80-90% capacity most of the night. There was a steady stream of people, but most seemed to have reservations. Lionhead adds 20% to the bill. A few restaurants are doing this in Seattle in response to the increased minimum wage. I would prefer they just increase the prices of their food rather than adding 20% automatically for service. The service we received didn't warrant 20%. We were very impressed and can’t wait to go back. The boneless duck dish was tops. We went to Lionhead for the very first time as a Christmas Day dinner and it was fabulous! They were very busy, but the service was good and the food was fantastic! We had the crispy duck, okra and steamed chicken bun and all were amazing! Highly recommend trying this place! Great food and open on Christmas Eve. Loved it. Amazing service, very interesting and delicious food. This place is a gem. We were here for my sisters birthday and she was thrilled with the whole experience. Thank you in particular to the entire wait staff—you were all so friendly, welcoming, and knowledgeable. As always, Lionhead was delicious. I get stuck in my goto dishes as they are fantastic: eggplant fries, Dandan noodles, sour rockfish, mapou tofu. 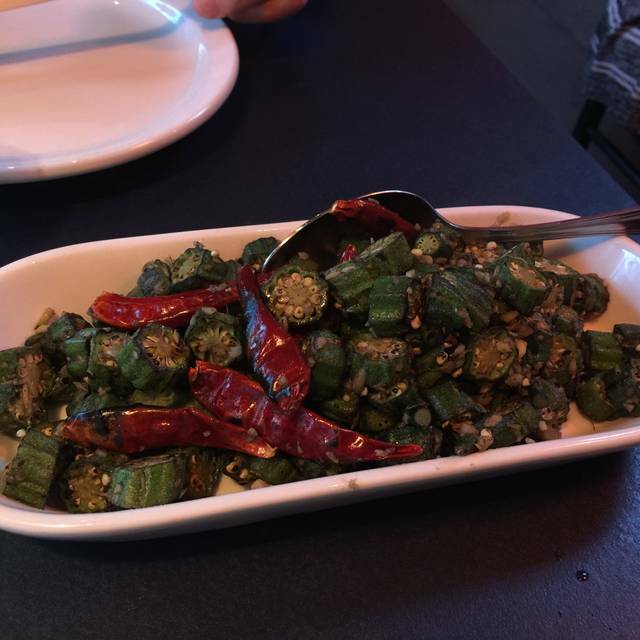 The ingredients are so fresh and the sichuan elements set this restaurant over the top. Had friends visiting from out of town. This is one of my favorite restaurants in the city. It never disappoints. They loved it. Food and drinks were 10/10! Lovely dinner experience. It was a Tuesday night so it was real quiet, a bit spooky quiet, but the server did a great job being super personable and lively. Don't be afraid of the heat or numbing! This is probably my favorite restaurant I’ve been to in the five years I’ve been in Seattle. Consistently the best food and sweetest service. Amazing crispy duck and great service. 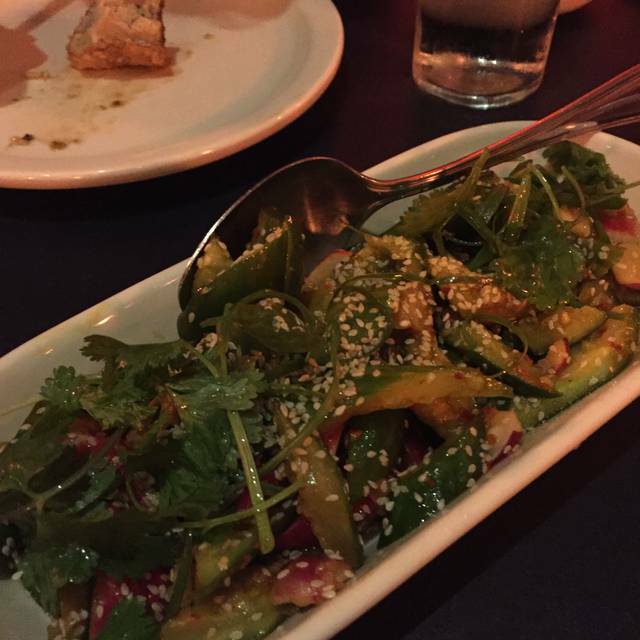 The cucumber and radish salad was quite hot/spicey, more than I can handle. Excellent service and background music. Food was very good, but dishes with chili oil could be a tad greasy. We love the food here. The dumplings are great. The cumin beef superb. Mustard rockfish is sour and spicy. 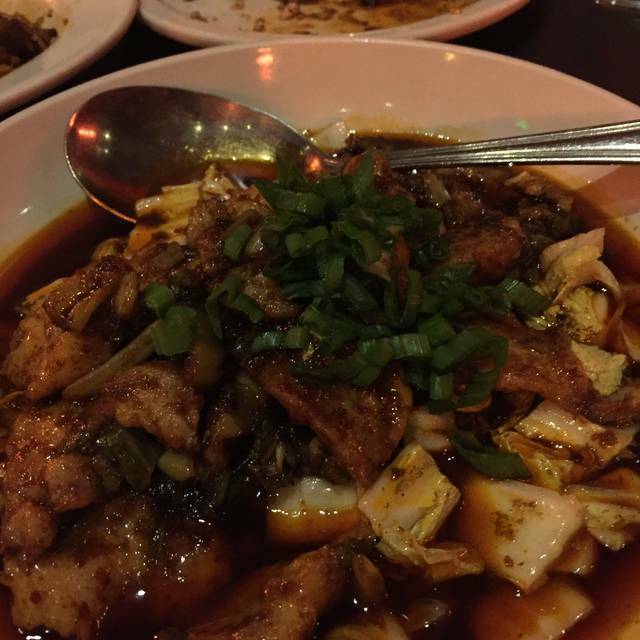 It's hard to go wrong if you like Sichuan food. We tried to order more dishes from the start and the waiter told us to order less. Our order took over 45min to reach our table, and we were starving. The waiter recommended 9 dishes, we ended up ordering 14 or15 dishes after everything was said and done, and we only were able to order 2 rounds of drinks. Our group could have easily ordered 2 more rounds of drinks. Our waiter avoided us the remainder of the night to order more drinks...not sure the issue since he was going to make 20 on the total bill automatically. The food was amazing. The service was not the best, we were trying to give your restaurant more money but for some reason the service prevented us from doing that. 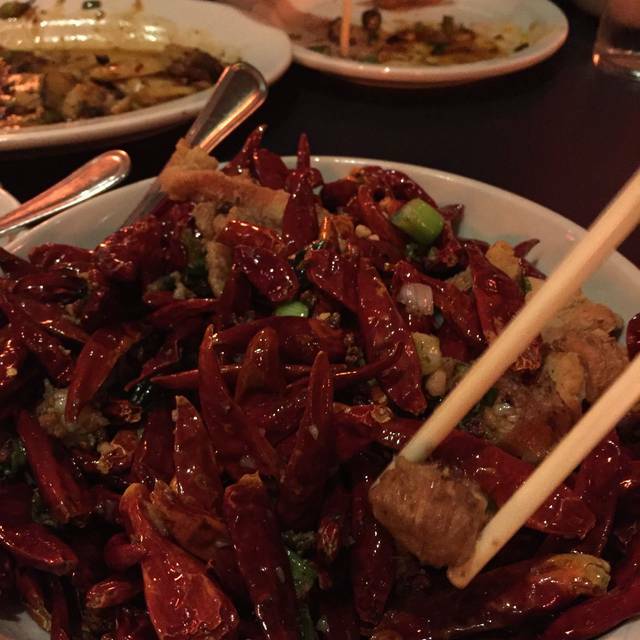 We love spicy food and Szechwan food in particular. This restaurant simply delighted us. We tried stuff from the Seattle Restaurant Week menu. The food was a good mix of spice and flavor. A sort of gourmet Szechwan food. 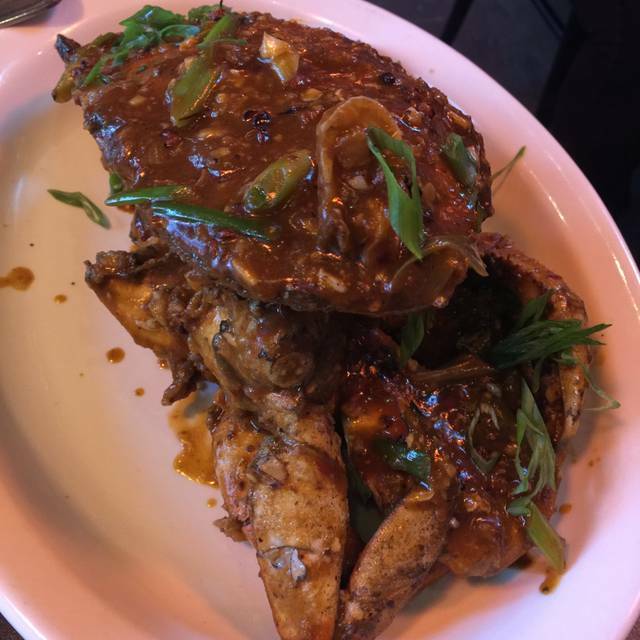 The chef is creative and brings out the flavor while still maintaining the authenticity of the regional food. The service was outstanding. Kyle (our server) was attentive. Once we told him that we were trying to catch a show downtown, he went out of his way to ensure that everything was packed (to go boxes) and bill settled in time. We had a very pleasant experience and will be back to try so many of the dishes that made out mouths water. Fabulous food and service, loved every minute and every bite!